Chemical peels as a way to erase the signs of aging have already been discussed, but a cosmetic procedure called a phenol peel is so effective it required its own article. What Makes a Phenol Peel Different? Phenol peels differ from your average chemical peel in that this is the deepest chemical peel available, and it uses carbolic acid to exfoliate. In comparison to other peels, phenol peels are effective for deep wrinkles around the chin and lips and is used for severe photoaging and hyperpigmentation. This type of treatment works very well for fair skinned individuals. Another advantage is that phenol peels’ effects last longer than the regular peel. Results are dramatic, and most patients are very pleased. Phenol peels are not for everyone. Discuss with your cosmetic dermatologist to see if this procedure is right for you: it is only suitable for use on the face, and is not recommended for dark-skinned individuals or people with heart disease. It will dramatically lighten dark skin, changing it to white! Another factor that may cause you to reconsider a phenol peel is if you are covered in freckles, as a phenol peel will remove them. If you have never had a phenol peel before, it is a good idea to try it out in a small area before have it applied to your whole face. Very rarely, an individual can have an adverse reaction to the phenol solution resulting in scarring, bleaching, enlarged skin pores and an inability to tan. Test in a small area first. 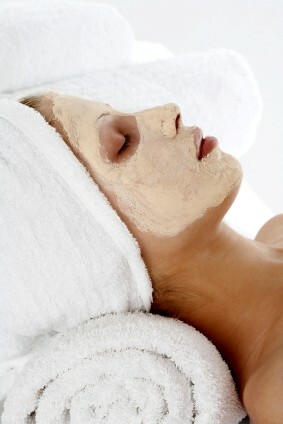 A phenol peel usually takes anywhere between 30 and 120 minutes. The cosmetic surgeon applies the phenol solution to the area that is being treated. Sensitive areas around the eyes, brows and lips are avoided. No anesthesia is required because the phenol solution itself works as an anesthetic. At the end of the treatment, the phenol solution is neutralized with cold water. One hour later, your skin is protected thickly with petroleum jelly. Redness and swelling are commonly reported by phenol peel patients, however, these are easily managed with pain medication. During the recovery period, avoid sun exposure like the plague, as the peeled skin is extremely sensitive to UV radiation. After the redness begins to fade, however, be ready for radiant white, fresh skin. Most phenol peel patients experience incredible results and minimal side effects, and total recovery is usually reached within 2-3 months. You will want to always use a sunscreen with spf 15. How Much Does a Phenol Peel Cost? Phenol peel costs vary between dermatologist and are based on the area treated: larger areas are more expensive. They run between $500 and $2000 per treatment.